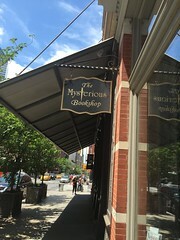 One of the oldest mystery specialist book stores in America, the Mysterious Bookshop is now in its 35th year. 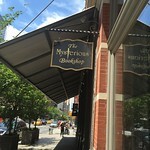 Previously located in midtown, the bookshop now calls Tribeca its home.We stock the finest selection of new mystery hardcovers, paperbacks and periodicals. This shop also features a superb collection of signed Modern First Editions, Rare/Collectable hardcovers and Sherlockiana. We publish a monthly newsletter highlighting our 7 book clubs, new releases and recently acquired rare books. This is the great bookstore i have never found before. Besides, you also could sell your mysterious books to the store, the price they offer might be higher than the original price of books.